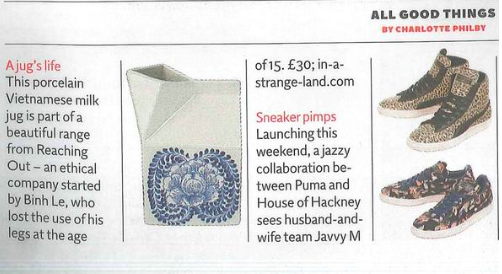 Our handmade ‘milk carton’ jugs were featured in the Independent Magazine on Saturday 20th September. How delightful! If you missed it you can view the online version here.